Popularly known as the “father of television quizzing in India,” Siddhartha Basu is a legend in the Indian quizzing circuit, and his stellar resume stands testament to this. Having initially made waves with Quiz Time on Doordarshan back in 1985, Siddhartha Basu is probably best known for his work behind the scenes at the iconic Kaun Banega Crorepati, India’s biggest-ever television quiz show. He is also responsible for bringing Mastermind, the popular BBC quiz show, to India. Having hosted, produced, directed and conceptualized various quiz competitions over several decades, the quizzing legend has now turned author. His latest book, Indian Century: A Quizzical History of the Makers and Making of Modern India, is a pictorial tour of post-Independence India, documenting the evolution of the country from Independence to the break of the millennium, and the years that have followed. The book is divided into two parts. The first part, Headlines, showcases dramatic events, the rise of landmark institutions, political evolutions and changing socio-cultural landscapes of India. 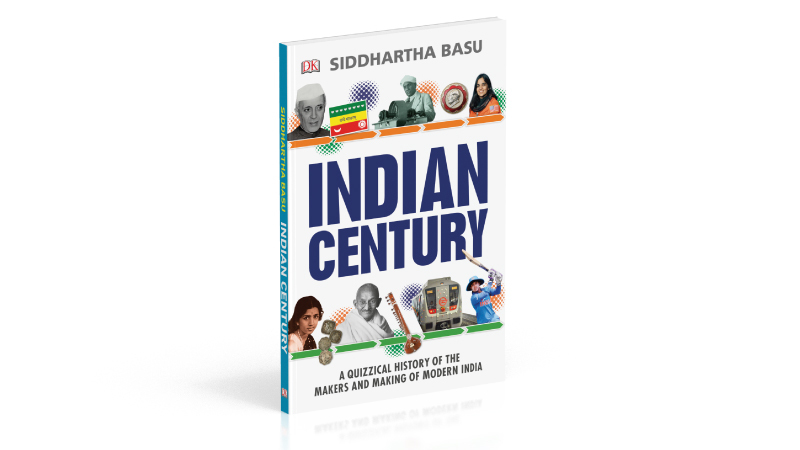 The second part, Snapshots, elucidates the lives and achievements of the most iconic personalities of 20th-century India in a question-and-answer format. 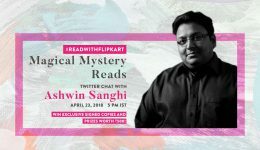 Given his reputation as the man with the questions, this Flipkart Stories Tweetchat will be a rare turnaround, as readers will get to #QuizTheQuizmaster about his new book. Get your questions ready, because Siddhartha Basu, on Twitter as @babubasu, will field them in a real-time Twitter chat with @FlipkartStories. The live tweetchat will take place on Tuesday, September 25, from 11 am IST to 12 pm IST at the hashtag #QuizTheQuizmaster. NOTE: THIS EVENT IS IN THE PAST. Missed the tweetchat? View the curated archive. To participate in the #QuizTheQuizmaster tweetchat, or just listen in, login to your Twitter account and follow the hashtag #QuizTheQuizmaster. If you are already logged into Twitter, you can participate in the chat from the Twitter chat window right here at the top of this page, or from a desktop or mobile device. 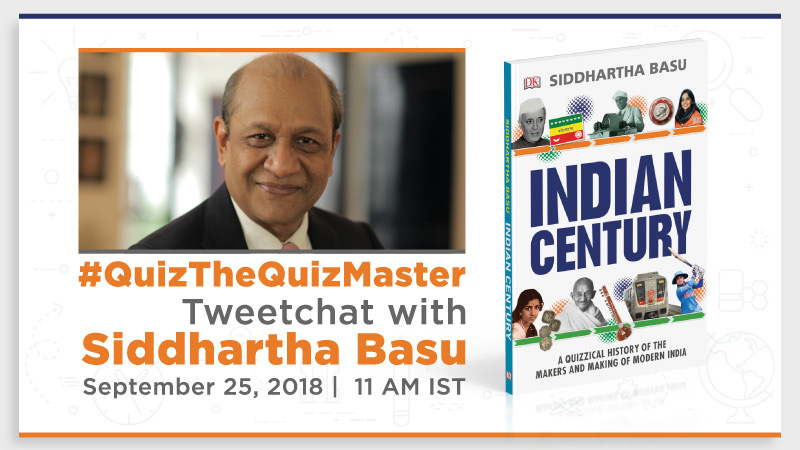 The #QuizTheQuizmaster tweetchat with Siddhartha Basu begins at 11 am IST on Tuesday, September 25, 2018. The chat takes place in real-time and continues until 12:00 pm IST. During the tweetchat, @babubasu will ask 3 bonus questions to the audience from the @FlipkartStories account. 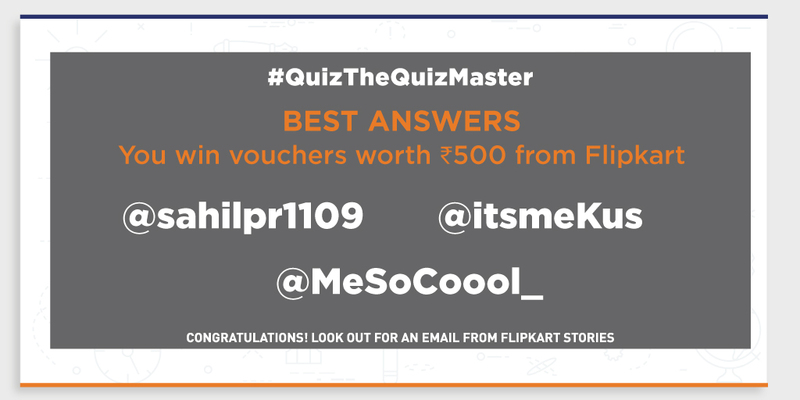 To respond to a question, please reply to the tweet with the prefix A(x) and the hashtag #QuizTheQuizmaster. E.g. 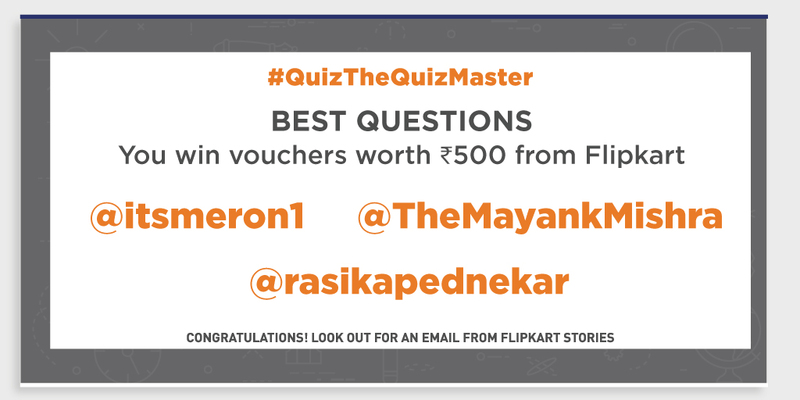 To question Q1, please prefix your reply with #QuizTheQuizmaster A1, followed by your answer. 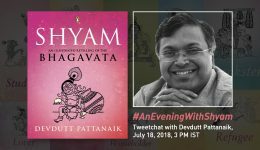 Visit this page at 11 am IST on September 25, 2018 to participate live in the tweetchat. You may also participate by logging into your Twitter account on your desktop or mobile device and searching for hashtag #QuizTheQuizmaster. The best 3 audience questions and the best 3 audience answers will be announced on this page and on the @FlipkartStories Twitter account within 24 hours after the tweetchat is completed. next The ultimate Big Billion Days reading list - get the best reads on sale!